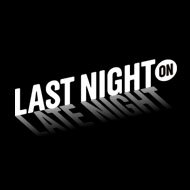 Last night, Elton John had a message on Late Night with Jimmy Fallon for bands like Kings of Leon who refuse to have their songs adapted by New Directions, while Chris Rock explained to David Letterman what it’s like to be a fan of the broke Mets, Jimmy Kimmel gave us another installment of “Steven Tyler’s Creepy Leer of the Night,” Kim Kardashian told Jay Leno about overcoming her fear of tall guys, and Norm McDonald wanted to change the Jeopardy! robot’s name on The Daily Show. Watch our compilation to see what you missed.